An Englishman and an Argentine won on the European and PGA Tours respectively this week. Chris Wood took home maximum points for Great Britain in Fantasy Golf this weekend, after he secured an impressive win at the Lyoness Open. Rafa Cabrera-Bello took second place, with Robert Rock and Matthew Fitzpatrick continuing the theme of strong English performers. Seung-Yul Noh claimed a much needed 315 points at the FedEx St. Jude Classic, with Phil Mickelson and Brooks Koepka among other players to take the same total. Fabian Gomez was the surprise winner on Sunday in Memphis. Mickelson, Noh and Koepka weren’t far back though as they began to finalise their preparation for the US Open on Thursday. Chad Campbell and Russell Knox also had decent tournaments, taking 215 points each. Wood earned comparisons to Nick Faldo on his way to winning in Atzenbrugg by two shots. Cabrera-Bello and Gregory Bourdy had been ahead of the Bristolian, before his surge left them fighting it out for second. Fitzpatrick also enjoyed his second top 10 finish from the last three tournaments as he earned a T3 finish in Austria. Curls is the new leader, displacing Monty’s Majors. The inclusion of Mickelson and Billy Horschel was inspired as both took home big points. Second placed Kiramy is 85 points behind. Bernd Wiesberger’s strong form at the Lyoness Open saw many select him for their team, with Mickelson and Dustin Johnson two other popular choices. Jordan Spieth and Justin Rose were not in action and so were transferred, with Emiliano Grillo also removed from many of the teams. 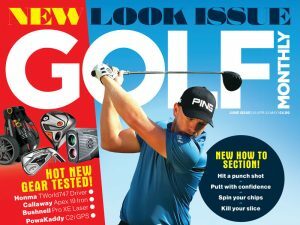 Head to the fantasy section of the Golf Monthly website each week to read our fantasy tipster’s column. If you’re not signed up and want the chance to win great weekly and monthly prizes, create your team here.